Use FME to overcome challenges associated with integrating Google Sheets with other data and applications. Whether you need to migrate data into Google Sheets for reporting or use its data in another system, FME’s built-in support for it and 350+ formats enables you to achieve Google Sheets integration efficiently and without writing any code. 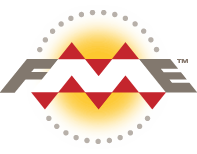 FME is data conversion and integration technology that allows users to connect Google Sheets to practically any application. FME features built-in support for Google Sheets reading and writing in addition to hundreds of other formats and applications including Excel, CSV, web services via JSON and XML, databases, and more. Furthermore, its library of transformation tools can manipulate data to fit any target system’s data model. For instance, remove columns, rename fields, filter and sort. There are also tools for calculations and reporting. Google Sheets data migration workflows are created easily using FME Desktop’s graphical user interface without writing any code. Download a free 30-day trial and see how simple Google Sheets integration is with FME. Google Sheets is a Web application that allows users to create, edit and share spreadsheets online. FME lets you integrate many applications and file formats. Here are some of the ways our users convert Google Sheets. The table below outlines how Google Sheets is supported by our different FME products, and on which platform(s) the reader and/or writer runs.